March 11, 2011: A massive earthquake strikes off the coast of Japan. Thousands die in the chaos that ensues after the quake and resultant 33 foot high tsunami that follows. The reactors located at the Fukushima Daiichi nuclear plant sustain significant damage and has been hailed as the worst nuclear accident since Chernobyl in 1986. March 15, 2011: MSNBC.com– “Scientists and nuclear experts say they can’t stress enough that no contamination is expected to reach the U.S. and precautions such as stockpiling potassium iodide are not necessary.” According to this article and many others like it, it isn’t necessary for US and North American residents to acquire the radiation tablets. However, one should take note how the US government has handled past precautionary measures. A significant amount of radiation pills were purchased for US troops in 2001 and again for US postal workers in 2002 to prepare for the possibility of dirty bombs being set off in the US or attacks on North American nuclear power plants. April, 1, 2011: From NPR.org: Japanese officials forced to admit radiation levels from the damaged nuclear reactors reported were misstated. December 2011: Radiation.org reports increased mortality in the US, citing correlations to the disaster in Japan in March of that year. http://www.radiation.org/reading/pubs/HS42_1F.pdf What is notable regarding this investigation is that this report appeared on MarketWatch.com, but the report seems to have been scrubbed from the Market Watch web site. 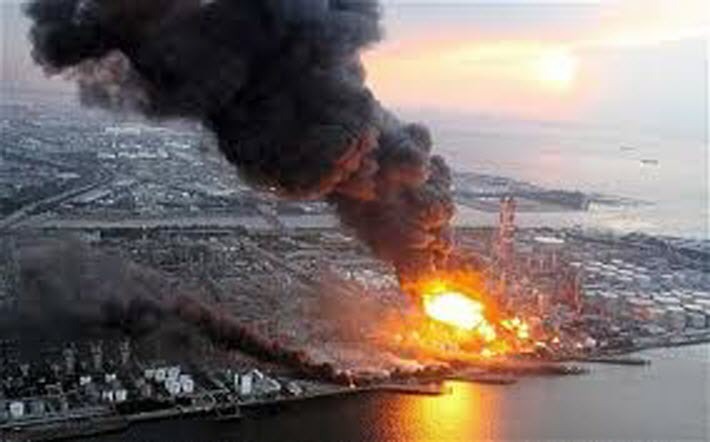 March 28, 2012: Real Economics-Fukushima is still a big problem. Yukitero Naka, Nuclear Engineer: Well, that’s what TEPCO and the government says, but the people in there don’t believe it. There is still a great danger. My personal concern is the fourth reactor block. In the wake of supply of potassium iodide in the US being depleted by a huge uptick in purchases by consumers after the earthquake in Japan, this next report illustrates our government’s ability to commandeer a huge supply of product at any given time. http://www.wnd.com/2011/04/285721/ Shortly after the disaster at Fukushima, vendors posted on their websites that Rad Stickers were not available for purchase, as all supply had been purchased by the US government to be sent to Japan. A Rad Sticker is small sticker (produced in the US) that can detect radiation exposure and were given to first responders, civilians as well as reporters that were sent to Japan to cover the tragedy. In spite of the dubious origins of this report, it may be of great interest to you, the reader, that there are reports that 9,000 of the 19,000 US troops are to be removed from Okinawa. Japan has pledged 3.1 billion dollars to subsidize a portion of the 8.6 billion cost of the relocation. Some of these troops will be sent to Hawaii, to Guam, or to start a new rotational process in of all places, Australia. A deal forged by the US in 2006 to move Futenma Air Force Base to date has never been implemented. The failed contract resulted in political suicide on the part of Yukio Hatoyama of Japan in 2009. Hatoyama was unable to fulfill his campaign promises of putting the deal into action and was forced to resign. Citing an “increasingly uncertain security environment” in the Asia-Pacific region, they said their agreement was intended to maintain a robust U.S. military presence to ensure the defense of Japan. Which raises the question, defense from what? Whispers on the internet suggest that some Japanese could be evacuated to the “Ghost Cities” of China, while other articles suggest that Japan needs to be protected from China’s rise. This conflict of reporting may incite some conspiracists to claim that the quiet movement of troops off of Okinawa is being implemented without fanfare as to avoid global panic. April 9, 2012. The L.A. Times informs us that radiation from Japan has been detected in kelp beds off the coast of California. Kelp is present in many food and pharmaceuticals and is commonly referred to as carageenan in ingredients. Giant kelp beds are also home to thousands of species of fish and sea life. The Japan Times online reveals in an interview September 19, 2011 with the former Japanese Prime Minister Naoto Kan that the president of TEPCO (Tokyo Electric Power Company) wanted to evacuate their staff from the Fukushima facility on March 15, 2011. Prime Minister Kan’s response was he was “outraged.” Kan resigned earlier in the month of September, 2011. Since the end of World War II, discussions have gone on between Russia and Japan over the Kuril Islands without making any forward progress. Currently, it would appear that the two countries may be attempting to come to an agreement on settling the old grievances generated when Russia seized the islands from Japan during the war. Could the Kuril Islands potentially be a safety net for millions of displaced Japanese citizens? Meanwhile, back in the States…Prime Minister Yoshihiko Noda of Japan visits with President Obama at the White House 4/29/12 and is to be treated to a gala dinner and Samurai exhibition by Secretary of State Hillary Clinton. The two following articles are of great interest to those in the online preparedness community. From RT April 4, 2012: DHS Won’t Explain its Order of 450 million Hollow Point Bullets. http://rt.com/usa/news/dhs-million-point-government-179/ And from Fed Biz Opps: https://www.fbo.gov/index?s=opportunity&mode=form&id=19f566deeffa645babd1e3731b7326c6&tab=core&_cview=1 Behind the scenes, once again the US government is purchasing great quantities of radiation pills. April 16, 2012: Reuters. US Senator Ron Wyden (OR) “…the damage was much worse than he expected.” Senator Wyden, who is a senior senator on the Senate Energy committee, toured the Fukushima Daiichi Nuclear plant on April 6 this month. We Japanese civil organizations express our deepest concern that our government does not inform its citizens about the extent of risk of the Fukushima Daiichi Unit 4 spent nuclear fuel pool. Given the fact that collapse of this pool could potentially lead to catastrophic consequences with worldwide implications, what the Japanese government should be doing as a responsible member of the international community is to avoid any further disaster by mobilizing all the wisdom and the means available in order to stabilize this spent nuclear fuel. It is clearly evident that Fukushima Daiichi Unit 4 spent nuclear fuel pool is no longer a Japanese issue but an international issue with potentially serious consequences. Therefore, it is imperative for the Japanese government and the international community to work together on this crisis before it becomes too late. We are appealing to the United Nations to help Japan and the planet in order to prevent the irreversible consequences of a catastrophe that could affect generations to come.